A week before this year’s Ryder Cup is played the European Tour moves to Wales for the Wales Open and to a very familiar track, which played host to the 2010 Ryder Cup. Designed specifically for the 2010 Ryder Cup the Celtic Manor resort was conceived and developed by Sir Terence Matthews. In the late 1970s, Matthews bought a manor house and turned it into a small hotel. Sir Terence’s long-term vision was a golf resort and he employed the design skills of Robert Trent Jones Jnr and the Wentwood Hills course was opened for play in September 1999. A bit of Augusta, a bit of Florida and a lot of Wales, was how they referred to Wentwood Hills, Trent Jones Jnr described the course as “a true championship course that combines a hilly landscape with the more traditional links-like features of an estuary. In July 2007, the first course to be built specifically for the Ryder Cup opened for play. The “Twenty Ten”, was a collaboration between the European Tour, golf course architects and European Tour professionals, the objective was to create a unique Ryder Cup venue. The new Twenty Ten course measures 7,493 yards par 71 and features nine new holes that have been routed through the Usk Valley, and incorporates nine holes from the former Wentwood Hills course, these have been extensively re-fashioned. The new design ensures that each hole is an exacting test but are also designed in a way to make each hole an amphitheater, offering spectators perfect viewing positions to see the action unfold. 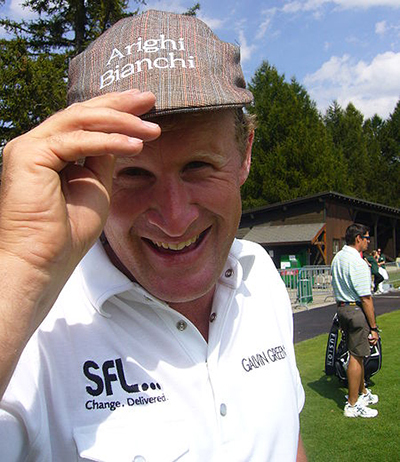 Jamie Donaldson 14/1 with BetVictor will want to bring his recent form into his national Open Championship and become the first home winner since its inception in 2000. Jamie hasn’t faired too well in this event in the past, his best finish since 2009 was a Top 10 in 2011, which he followed up with an opening round of 81 a year later and pulled out of the event. This is the last event before Donaldson competes in his first Ryder Cup and I am sure he will want to do well over the 2010 Ryder Cup course. 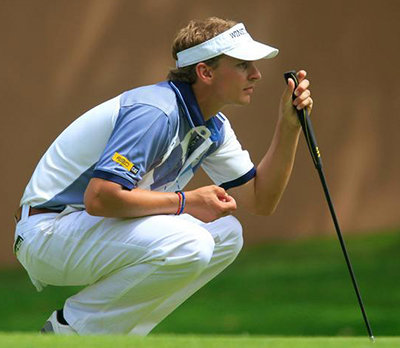 I am going to stick with this week is Joost Luiten 16/1 with StanJames. It was Joost’s second consecutive Top 5 finish at last weeks KLM Open and with the added pressure of playing in front of his home fans he put in a great effort to retain his title. I am sure he will be in the thick of it again come Sunday at Celtic Manor. I am also sticking with Simon Dyson 30/1 with StanJames, not only did he finish last weeks KLM Open in fine style with rounds of 66, 66, 65 to miss out taking yet another Dutch title by one shot. Simon seems to enjoy playing the Celtic Manor course and has not been outside the Top 20 since 2009 – he didn’t play in the 2012. Thongchai Jaidee 45/1 with StanJames is a past winner here and already has a win this year at the Nordea Masters and four other Top 10 finishes including one at the WGC Cadillac Championship. Thongchai didn’t play so well at his last event in the PGA Championship where he missed a cut, but I think the rest and practice that he has put in since then will see that lad from Thailand in a more positive frame of mind this week. 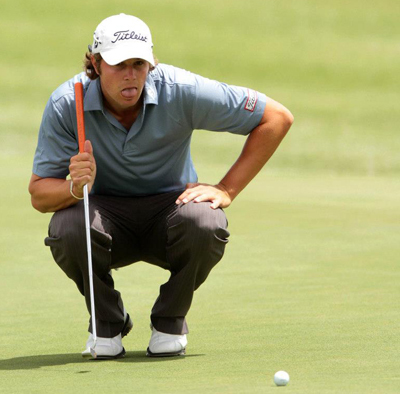 Peter Uihlein 50/1 with BetVictor tumbled down the learderboard and out of contention with a final round 73 at last weeks KLM Open, but I feel the American with memories of last year’s runners-up finish in this event will figure again this year. It’s not been the year Peter would have expected with eight missed cuts on the spin. But he seems to have found something over the last four weeks to turn his golf game around, which lead to him being in contention on Saturday at the Dutch Open. And I expect that progression to keep improving here this week. Another player that seems to enjoy the Celtic Manor course and is this year’s defending champion Gregory Bourdy 50/1 with StanJames. Leading up to last year’s win Gregory had only been outside the Top 15 once since 2009 and had a runner-up finish here back in 2011. It has not been a great year for the Frenchman with only two Top 10 finishes to his name so far, but I think he will want to put in a sterling title defense so I expect him to be in the thick of it again come Sunday.